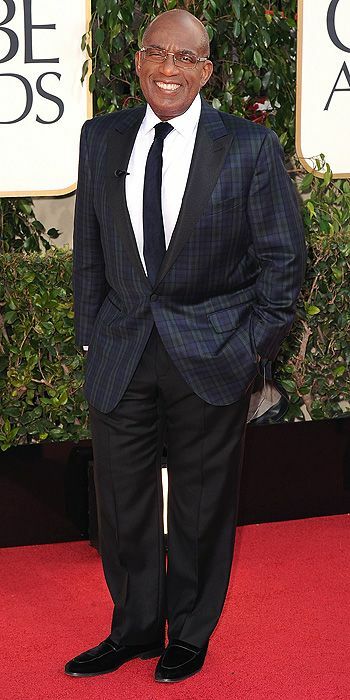 In my first post solely dedicated to Men's Fashion, I'm excited to share a wealth of well-dressed fellas that graced the red carpet at the Golden Globes last night! Starting with my pick for the best, Eddie Redmayne. I love that Eddie wore a velvet jacket, his trousers fit perfectly and his shoes aren't too shiny. For me, this is a winner! I'm not as big a fan of Benedict Cumberbatch as most seem to be, but he looked slick on the red carpet last night! His suit is cut beautifully and I tend to favor a long tie for a more modern look at red carpet events. Now this is how you wear a tux! Christoph Waltz has chosen a perfectly tailored suit, but what really does it for me are the glasses. Well played! Al Roker's tartan jacket made me smile! Way to take a fashion risk Al and this one is working for you! Bradley Cooper's mussed hair & stubble compliment his formal tuxedo for a sexier look. Love it! All black is one of my favorite red carpet looks for a man - there's something so sleek and sophisticated about it. 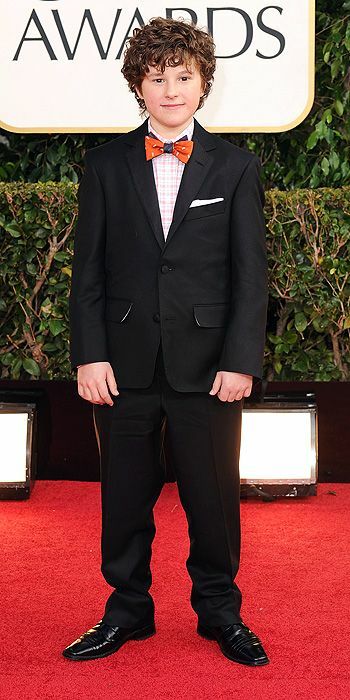 How cool is Nolan Gould with his checked shirt and orange bow tie? 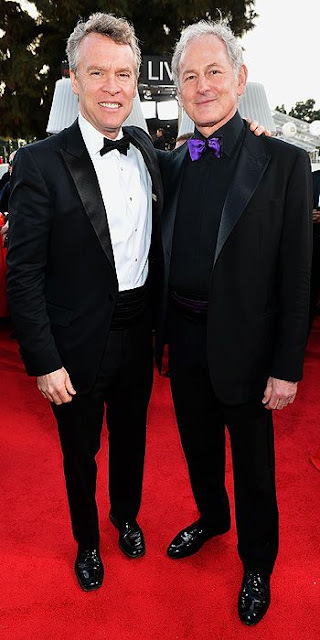 Kudos to Victor Garber for taking a risk and wearing a purple tie! Kunal Nayyar's jacket doesn't fit right and his trousers are severely wrinkled. Not a great way to go when you're attending a black tie red carpet event. Nathan Fillion chose a nice suit, but the trousers are too long, which ruins the whole look. Also, his jacket sleeves are too long. This is a big no no with tuxedos... Tailoring is everything. You never want people to think you've borrowed your neighbor's tux now do you? Who were your picks for best dressed fellas on the red carpet at the Golden Globes? Bradley Cooper was the best dressed male for me. Also, surprisingly I have to say Ryan Seacrest did it right.